Kris Jenner gushed over her children online on Sunday, as America celebrated the annual Mothers’ Day holiday. Kris Jenner, 57, posted several old pictures, showing her large brood as youngsters, and featured touching captions with her posts. 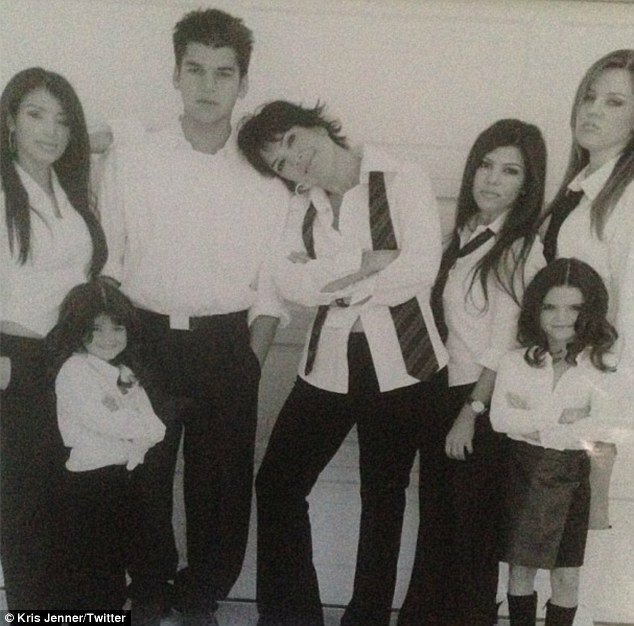 In the image Kris Jenner can be seen with Kourtney, Kim and Khloe Kardashian, her eldest three daughters with the late attorney Robert Kardashian. Their son Rob Kardashian is also present in the black and white snap. Kris Jenner’s youngest girls, Kendall and Kylie Jenner, appeared alongside their half siblings, all wearing monochrome. Kris Jenner didn’t hesitate about showing appreciation for her own parent, who doesn’t appear much on their E! reality shows due to living in San Diego, California. She sent out a vintage picture of them together, posed with Kris’ first three children. “Happy Mothers Day Mom!! You are my true inspiration and I love you madly,” she wrote.